The grim saga of Changsheng Biotechnology continues to roil China with news Wednesday that the embattled pharmaceutical firm produced a second huge batch of substandard vaccine doses for children, doubling the number of doses originally estimated. The South China Morning Post reported that the first batch of 252,600 suspicious vaccine doses was sold entirely in the province of Shandong. Another batch of 247,200 doses has been discovered, of which 90 percent were sold in Shandong and the rest in Anhui. A third batch of 400,000 doses sold by a different company, the state-run Wuhan Institute of Biological Products, was found to be substandard. This puts the total number of substandard vaccine doses from Changsheng just shy of half a million, and the total number of substandard batches up to nearly one million. Chinese drug regulators evidently believe nearly all of them were, in fact, administered to children. 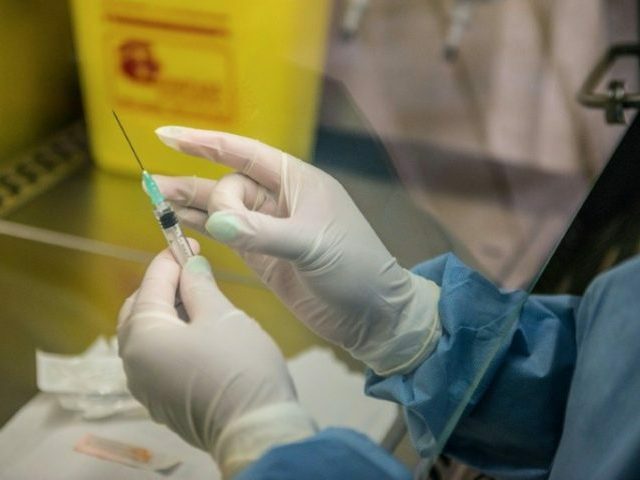 The SCMP reported that 76 percent of the children who received injections from the first batch have been treated by doctors and “plans were in place” to treat those inoculated from the second batch. To limit the wider impact on social and political stability, the government seems more focused on damage control than on cleaning up the scandal-ridden vaccine industry. Officials have reportedly restricted news coverage and censors have swiftly scrubbed away widely shared essays and posts criticizing the government or spreading bad news. Even news reports from state-owned publications, such as an investigation into Wuhan Institute’s substandard vaccines by the newspaper Economic Observer, have been taken down. Eighteen arrests of Changsheng personnel have been made so far, including chairwoman Gao Junfang, once hailed as the “Vaccine Queen” and possibly the wealthiest woman in China. The Chinese public seems unwilling to accept even the plumpest and most carefully roasted corporate scapegoat. With remarkable persistence for the population of an authoritarian Communist state, they insist public officials who played a role must be punished as well, and they are questioning the integrity of the entire bureaucratic system. What does all this aluminum do to us? For one thing, it accumulates in the kidneys, brains, lungs, liver and thyroid, causing oxidative stress and attacking the central nervous system. According to Dr. Edward Group, aluminum competes with calcium for absorption, and can affect the mineralization of bone and slow growth in infants. It also creates inflammation in the brain, thereby contributing to the development of neurodegenerative diseases. Aluminum toxicity has been linked with a staggering list of specific diseases, dysfunctions and conditions. A recent study shows that aluminum exposure causes brain oxidation and inflammation – while increasing amounts of the beta-amyloid proteins linked with Alzheimer’s disease. The University School of Medicine in Belgrade reports that drinking water with a high aluminum concentration is associated with an increased risk of Alzheimer’s. But the damage doesn’t stop with Alzheimer’s disease. Aluminum’s ability to inhibit the uptake of neurotransmitters such as dopamine, norepinephrine and 5-hydroxytryptamine contributes to mood disorders, anxiety, insomnia and cognitive deficits. And, aluminum is associated with anemia – an unsurprising finding, as aluminum has been shown to interfere with iron metabolism. It is also linked to other blood disorders, such as hemolysis, leukocytosis and porphyria, as well as amyotrophic lateral sclerosis, or ALS. In addition, exposure to this unwanted substance can cause an increase in cavities, as it interferes with bone calcification and competes with fluoride. And, finally, it is associated with kidney and liver dysfunction due to fatty degeneration. How do I find out if I have aluminum toxicity? Early symptoms of aluminum toxicity include headaches, depression, abnormal heartbeat, frequent colds, dry skin and heartburn, colic and other gastrointestinal problems. Later symptoms of toxicity can include paralytic muscular conditions, memory loss and confusion. Integrative healthcare providers note that blood aluminum levels fail to reflect the total body burden, so accurately measuring aluminum toxicity can be tricky. If you think you have aluminum toxicity, it would be wise to undergo a hair tissue mineral analysis. This non-invasive test is considered the most reliable way to detect aluminum levels. However, look for a laboratory that doesn’t wash the hair before testing, as this can nullify results. Note: if you are undergoing nutritional therapy for heavy metal toxicity, expect to see a rise in aluminum levels in the hair when it is re-tested – a result of aluminum and other metals being flushed from storage. It’s also extremely important that you ensure the safe elimination of toxins from the body to avoid harm. The first step in detoxifying is preventing additional exposure to aluminum. Avoid the use of aluminum cookware and cans, and carefully check the labels of health and beauty products – especially antacids. Be on the lookout for aluminum-free alternatives – for example, the” Tums” brand of antacid contains no aluminum. You should also avoid processed foods – which are often packaged using aluminum – and opt for sea salt over table salt. As for drinking water – a water purification system is a MUST and/or drink spring water – from a trusted source. Natural substances that can help you detoxify include high-dose vitamin C, chlorella and cilantro. Your healthcare provider may advise melatonin and 5-hydroxy-L-tryptophan as well. Just make sure that your doctor understands the best ways to detoxify the body safely. Garlic, onion and other sulfur-rich foods help to manufacture glutathione, the body’s master antioxidant and detoxifier. N-acetyl-cysteine also boosts glutathione levels, while binding to and detoxifying all heavy metals. And don’t forget about curcumin, a flavonoid found in turmeric. This natural antioxidant has been shown to have a protective effect against aluminum-induced damage, modulating the extent of oxidative stress and combating the beta-amyloid plaques associated with Alzheimer’s disease. Although aluminum and aluminum compounds sometimes seem ever-present, it is possible to reduce or even reverse toxicity from aluminum and other unwanted metals, thereby preventing disease, protecting health and help to extend the quality of your life. Considering the Flu Vaccine? Consider this. Even the bestselling flu vaccine is only the fifth most popular vaccine in the United States. Prevnar, the vaccine used to prevent infection caused by pneumococcal bacteria; Gardasil, which supposedly prevents cervical cancer; PENTAct-HIB, given to tiny infants to stave off diphtheria, tetanus, pertussis, hepatitis B, poliomyelitis, and Haemophilus influenzae type b; and Infanrix/ Pediarix, a vaccine indicated for active immunization against diphtheria, tetanus, pertussis, infection caused by all known subtypes of hepatitis B virus, and poliomyelitis; are all far more popular than the flu vaccine. 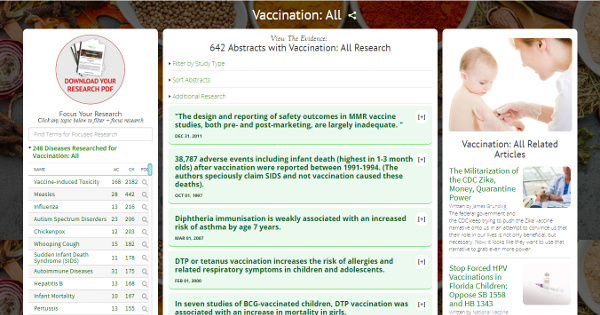 As reported by Health Impact News, during the period covering 16 August to 15 November 2013, 139 claims were settled by the Vaccine Court, 70 of which received compensation. 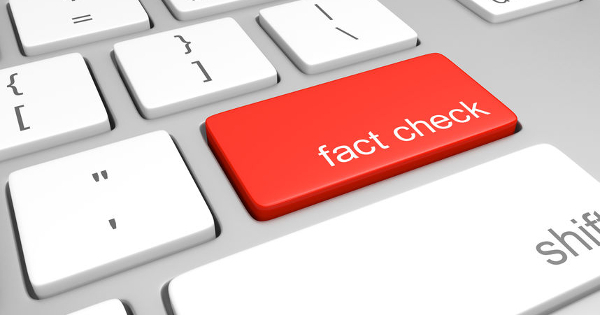 Of these settled claims, 42 – or 60 percent – were for injuries caused by the flu vaccine. The remaining 40 percent were for injuries caused by 11 other vaccines. Guillain-Barré syndrome (GBS) is a disorder in which the body’s immune system attacks part of the peripheral nervous system. The first symptoms of this disorder include varying degrees of weakness or tingling sensations in the legs. In many instances the symmetrical weakness and abnormal sensations spread to the arms and upper body. These symptoms can increase in intensity until certain muscles cannot be used at all and, when severe, the person is almost totally paralyzed. In these cases the disorder is life threatening – potentially interfering with breathing and, at times, with blood pressure or heart rate – and is considered a medical emergency. Such an individual is often put on a ventilator to assist with breathing and is watched closely for problems such as an abnormal heart beat, infections, blood clots, and high or low blood pressure. Most individuals, however, have good recovery from even the most severe cases of Guillain-Barré syndrome, although some continue to have a certain degree of weakness. The injuries caused by the flu vaccine, as listed in the Department of Justice report, are not limited to Guillain-Barré Syndrome, however. They also include: neurological injury, peripheral neuropathy, painful myalgias, psychological sequella, opsoclonus-myoclonus syndrome, cerebellar ataxia, corneal transplant failure, transverse myelitis, encephalitis, shoulder injury, bilateral optic neuritis resulting in permanent legal blindness, leukoencephalopathy, chemically-induced multiple sclerosis, chronic inflammatory demyelinating polyneuropathy, fibromyalgia, and death, among others. For one thing, the flu vaccine contains 25,000 times more mercury than is legally allowed in water. For another, statistics confirm that vaccinated people are actually more susceptible to the flu and often get more ill than those who focus on building up their own body’s immune system. Reports like these raise many issues. For example, considering the severity of the reactions and conditions linked to the flu vaccine in just a three-month period, and remembering that very few adverse vaccine reactions are ever reported, why is the mainstream media not shouting this information from the rooftops? Why is there virtually total media silence when it comes to the dangers of vaccines in general? Why are we not given this information when we choose to vaccinate ourselves and our children with these potentially deadly vaccines?